Flickr/Monsieur GordonThis pizza could be yours! Every Tuesday, T-Mobile give you a free carry-out medium two-topping pizza from Domino’s, a free Frosty from Wendy’s, and a free movie rental from the video streaming service VUDU (in standard-definition, not HD) if you use T-Mobile. That’s the stuff everyone gets for using T-Mobile. There’s also a big prize and a bunch of little prizes T-Mobile customers can win. This week, the big prize is 40 or more tickets for a party to attend an advanced screening of the “Warcraft” movie. The little prizes this week include “Warcraft” props, signed posters, and gift bags. There will be new prizes every week. 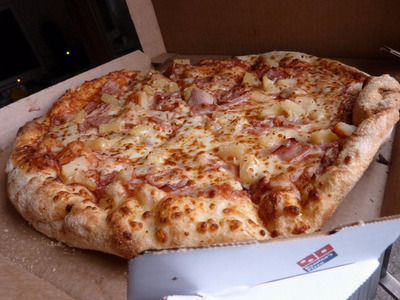 How does a T-Mobile customer obtain free pizza and play to win prizes every Tuesday? You have to download the T-Mobile Tuesdays app, which is where you’ll get the redemption codes for the free stuff. T-Mobile customers also automatically get a one free share of T-Mobile stock, and they can get another free share with every friend or family they refer to T-Mobile. 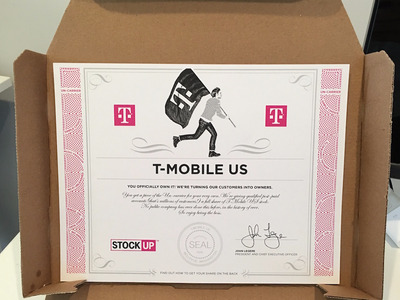 That means that if you referred 100 people and obtained 100 shares of free T-Mobile stock at around $43/share, you’d essentially have $4,300 of free T-mobile stock which you can sell off or further invest. Unloading free stuff to T-Mobile customers, like a pizza that normally costs $15, is an insane stunt that would cost the company $945 MILLION per week if every single T-Mobile customer (63 million people!) took part. Nearly $1 billion per week for a pizza promotion! That’s why you have to opt-in every week — T-Mobile is better that only some of its customers will participate, thus minimising the impact of this pricey promo. Indeed, what people really want from a phone carrier is good network coverage without limitations on what phones we can use. T-Mobile has a decent coverage map, but it’s not as comprehensive at Verizon’s or AT&T’s. It did recently expand its coverage with Extended Range LTE, but only relatively new phones are compatible with Extended LTE. For example, only the iPhone SE and 6s generation supports Extended Range LTE, and anything before the Samsung Galaxy S6 won’t be compatible. Check out the full list of compatible smartphones right here if you’re so inclined. It’s likely that more smartphones and tablets that are released from now on will support T-Mobile’s Extended LTE, in which case more customers can benefit from extended coverage as they start ditching their older phones. T-Mobile’s coverage issues may become a thing of the past. Either way, T-Mobile customers, enjoy the free pizza!